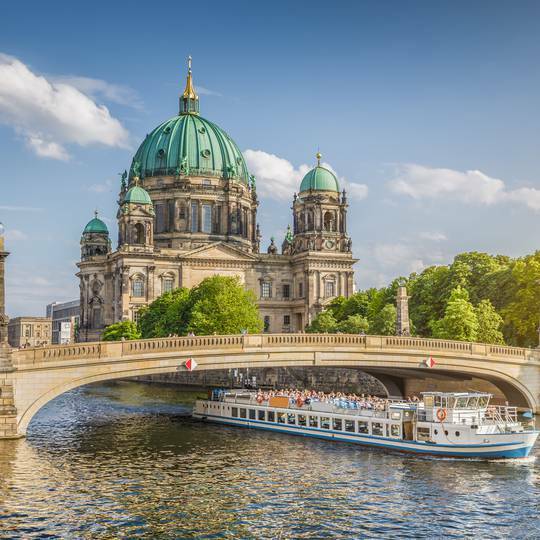 Our most beloved Best of Berlin tour covers all the main sights in the capital of Germany. If you have just 1 day in our city, we will help you make the best of it and we will show you all the most relevant sights and locations . If you are here for a longer period of time we will provide you with lots of recommendations for further exploration on your own. This tour can be done on foot as well as with a bicycle or a vehicle with a driver - depending on your preferences and budget! We would be delighted to help you with restaurant reservations or to organize a visit to a museum or an art gallery for you. We can start the tour any time and anywhere in the city you like and drop you off at any location of your choice at the end.